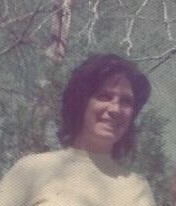 Glynda AnnaVee Parsons, 79 died August 20, 2018 at St. Anthony’s hospital in Oklahoma City, Oklahoma. She was born February 17, 1939 to James C. and Vera (Stewart) Carnagey, in Blackwell, Oklahoma. She was raised and went to school at Shattuck, Oklahoma. She was married 3 times, had 5 children. Lived in Dallas, Texas, where she worked hard to raise her children after the death of her 1st husband. She later moved back to Shattuck to help with her parents. She worked several jobs, her main job being at the laundromat. She was a very generous and giving person. She was always ready to help out when needed. She loved her family unconditionally. She loved to read and watch CSI programs. She survived by her sister Verna Word and husband, Kenneth, of Perryton, Texas, 3 daughters Vila Thomas of Woodward, OK, Connie Wilson of Shattuck, OK, and Kathy Osborn of Piedmont, OK and son James States of Shattuck, OK. 7 grandchildren, 11 great grandchildren, 2 great great grandchildren and numerous other relatives. Preceded in death by, parents J.C. and Vera Carnagey, 5 siblings, brothers, Melvin Carnagey, Austin Carnagey, and Ray Carnagey; sisters, Wanda Monta and Deloris Holland. 1st Husband LaTroy States, the father of her children, 1st son Troy Dee States, 2nd husband John Dawson, 3rd husband Jim Parsons. Grandson Leslie Vance and great grandson Coy Vance.